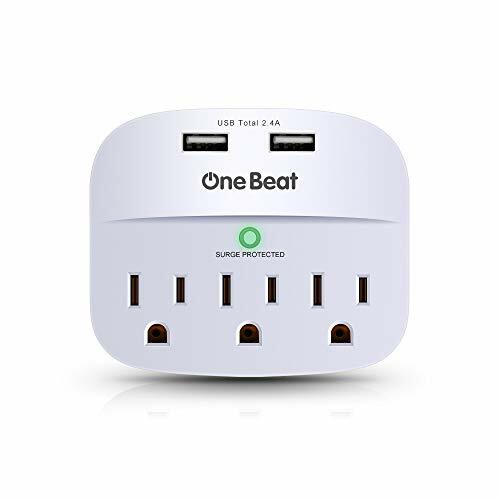 When you in home/office/hotel/airport and many places, You will find most room only have two available wall outlets. But you have cell phones,iPad,laptop,camera, flat irons, hair dryers and many other devices need to plug outlet and charger. Then this a MUST HAVE HOME ACCESSORY will increase the available outlets. excess electricity for additional protection,while damage-resistant housing protects circuits from fire,impact,and rust, and prevents dents and scratches. Your devices will be safe from damage,data loss, file corruption,and system crashes that may occur due to electrical surges. Easy Installation. The USB wall outlet can be easily plugged into a grounded outlet for regular or portable use.